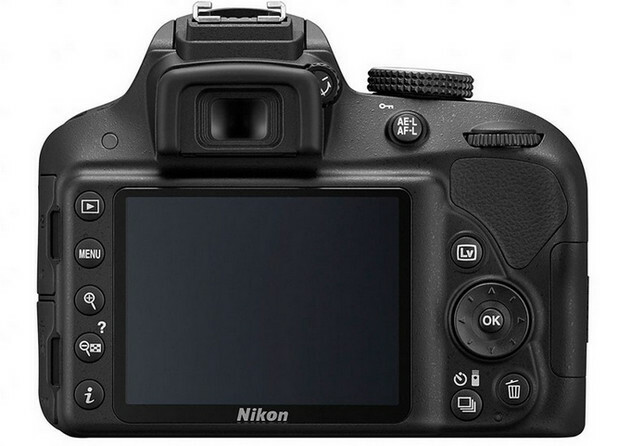 Nikon has announced the latest version of its entry level DSLR in the shape of the D3300, which replaces the popular D3200 from 2012, and will retail for a budget friendly £500. The latest iteration sees the sensor being upgraded to a 24.2 megapixel CMOS number with no optical low-pass filter, backed by an ‘Expeed 4’ image processor. Other improvements see the maximum continuous shooting rate increasing to an impressive 5 fps, and the ISO top limit reaching up to a gloom-illuminating 25,600, although we expect you’ll be looking at your pictures through a dust storm at that level. Capable of recording 1080/60p Full HD video and sporting a stereo mic, the D3300 also comes with an enhanced Guide Mode for (ahem) “discovering the joy of photography,” and there’s also optional wi-fi available too. 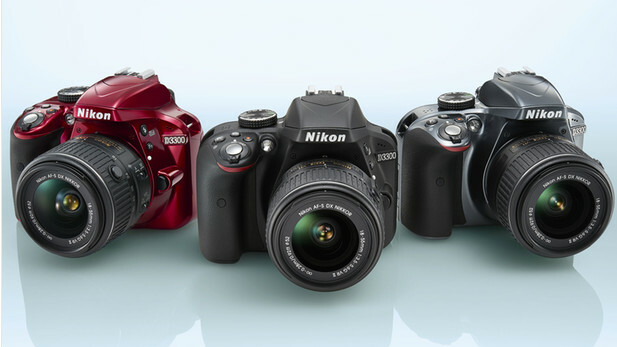 Weighing 410g without the battery, the D3300 has a 3-inch LCD screen and optical viewfinder, and can be purchased in black, red or grey, so you’ll be able to avoid any unsightly clashes with your favourite outfit. Timed to coincide with the release is a new, collapsible, 18-55mm F3.5-5.6 VR II kit lens, which is 30% smaller and 20% lighter than the existing 18-55mm lens. The D3300 with the new 18-55mm lens should be shunting out to stores in February at a suggested retail price of £599.99/$649.95, with the lens available separately at $249.95. MELVILLE, NY (January 6, 2014) – Today, Nikon announced the Nikon D3300HD-SLR for those ready to take their photography to the next level. Complete with a 24.2-megapixel DX-format CMOS sensor1 and EXPEED 4 image processor, the D3300 is capable of capturing stunning images and Full HD video with ease. 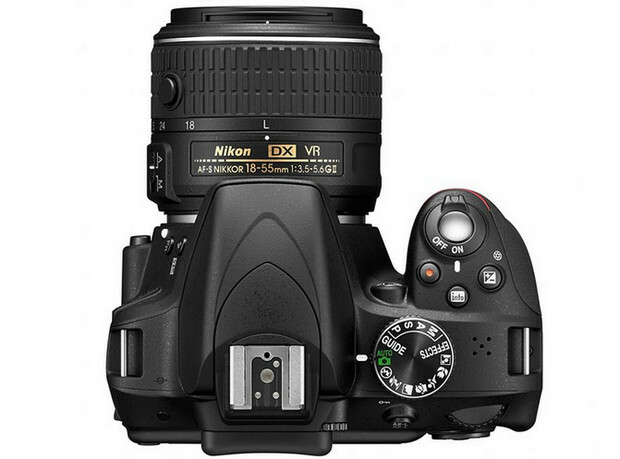 Also featuring an enhanced Guide Mode for those discovering the joy of photography, optional Wi-Fi® connectivity, in-camera effects that operate in real-time and kitted with the new compact AF-S DX NIKKOR 18-55mm f/3.5-5.6G VR II lens, theNikon D3300 is ready to help capture and preserve every precious memory. For FX-format photographers, Nikon has also announced an addition to its lineup of f/1.8 prime lenses, the AF-S NIKKOR 35mm f/1.8G. At the popular and versatile 35mm focal length, the new 35mm f/1.8 provides stellar image quality and low-light performance whether shooting landscapes, portraits or travel photos. To complement the Nikon small stature of the D3300, Nikon has also introduced the new, more compact AF-S DX NIKKOR 18-55mm f/3.5-5.6G VR II standard zoom lens that inherits a familiar focal length (27-82.5mm, 35mm equivalent) while incorporating a new retractable lens barrel design found in Nikon’s 1 NIKKOR lens series. This design ensures the lens is remarkably smaller than its predecessor, and when paired with the D3300makes the camera package nearly 30% smaller and 25% lighter. An ideal 3X zoom lens for every on-the-go moment, the18-55mm f/3.5-5.6G VR II lens features up to four stops3 of VR image stabilization, a silent wave motor to ensure quiet AF operation and auto/manual focusing options. 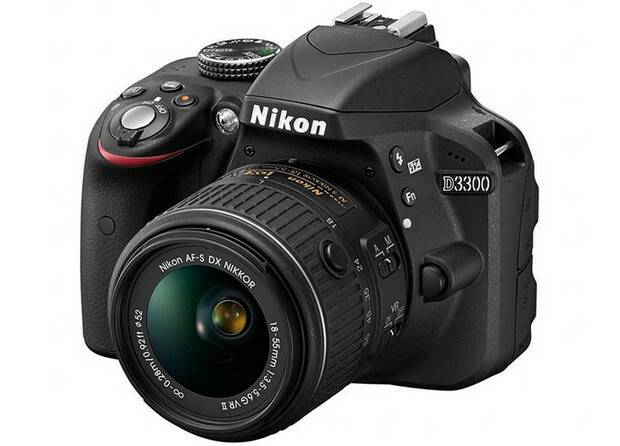 The Nikon D3300, kitted with the AF-S NIKKOR 18-55mm f/3.5-5.6G VR II lens, will be available in early February 2014 in Black, Red and Grey for a suggested retail price* (SRP) of $649.95. The AF-S NIKKOR 18-55mm f/3.5-5.6G VR II will be available at the same time as the D3300, and will also be sold separately for $249.95 SRP*. 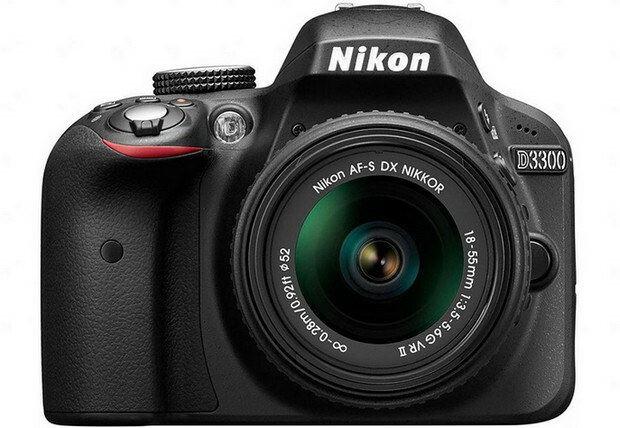 TheAF-S NIKKOR 35mm f/1.8G lens will be available on February 20, 2014 for a suggested retail price of $599.95*. 1. Exquisite detail reproduction realized by an image sensor unit designed without an optical low-pass filter. 2. The Wireless Mobile Adapter Utility Application must be installed on the smart device before it can be used with the WU-1a Wireless Mobile Adapter connected to the Nikon D3300. The application can be downloaded free of charge from Google Play™ or the Apple App Store. 3. Based on CIPA Standard.